2001 S State and 2000 S Wabash is a dual listing for sale for a total of $14,950,000. The properties are tied together by their loan and must be sold in conjunction, they are right across the alley from each other on Cullerton. Both properties are newly renovated, including 22 apartments at State and a combined commercial square footage of right around 20,000 (12,000 for State, 8,000 for Wabash). 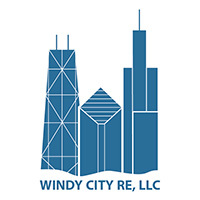 Commercial tenants include a Dog Daycare (2000 S Wabash) who occupies the entire building on a triple net lease, as well as a gym (Phenomenal Fitness @ 2001 S State) and a Daycare. All apartments have been totally gut renovated including granite counters, stainless steel appliances, plumbing, electric, heating & cooling and laundry machines. All units are 3 bedroom and have elevator access through the lobby.